One technique currently growing in popularity is the use of LED lights in gardening. The lights are relatively easy to install and use, are energy efficient and can be employed for the full cycle of the plant. As a gardener, you want to provide the best condition possible for your plants so you can get the best from them. You need the best LED grow lights in the market to get the best yield. Below is a review of our top picks. 2 Why are LED Lights Better for your Plants? 2.1 Flourescents, what about them? The price tag may be the first thing you notice about this LED grow light, but nothing good comes cheap. This light is among the most advanced in its category. It is durable and will take many years before you can ever think of replacing it. The light is also easy to set up and may not need the services of a qualified tech. This P600 has a reasonable coverage area of between 2 and 5 feet meaning that it may easily accommodate up ten plants. The risk of burning your regular or pot plants is minimal as it comes with powerful fans. The light is adequately intense, and you would easily notice how it effortlessly it goes through the plant. The LED comes in an attractive design and a bright red color. The color is one very noticeable distinguishing characteristic – others don’t commonly use the color on LED body. 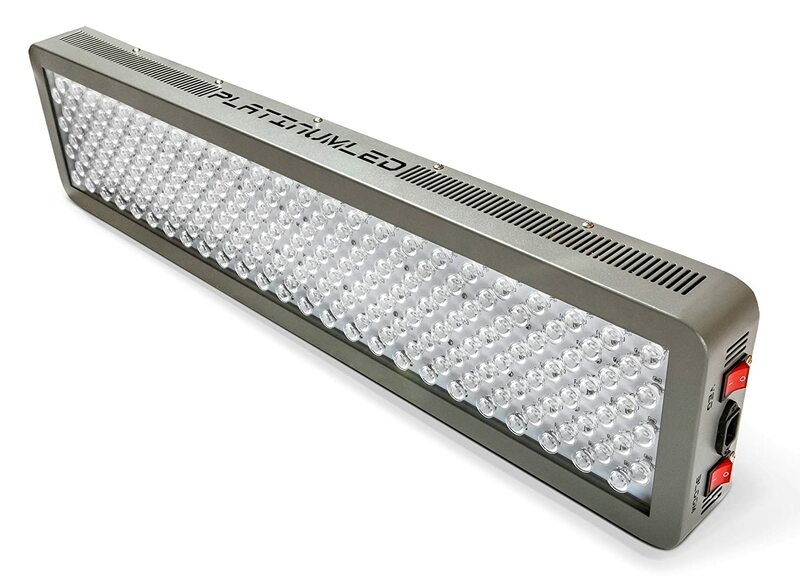 This is for those that are looking for product that gives more intense light – has 88 5W LEDs. The angle of the glass is 90 degrees and has two bulbs for UV light your plants need during flowering. It also has in-built fans to keep the warm air circulating and keep your plants from burning. The LED has two standout features – vegetable and bloom. 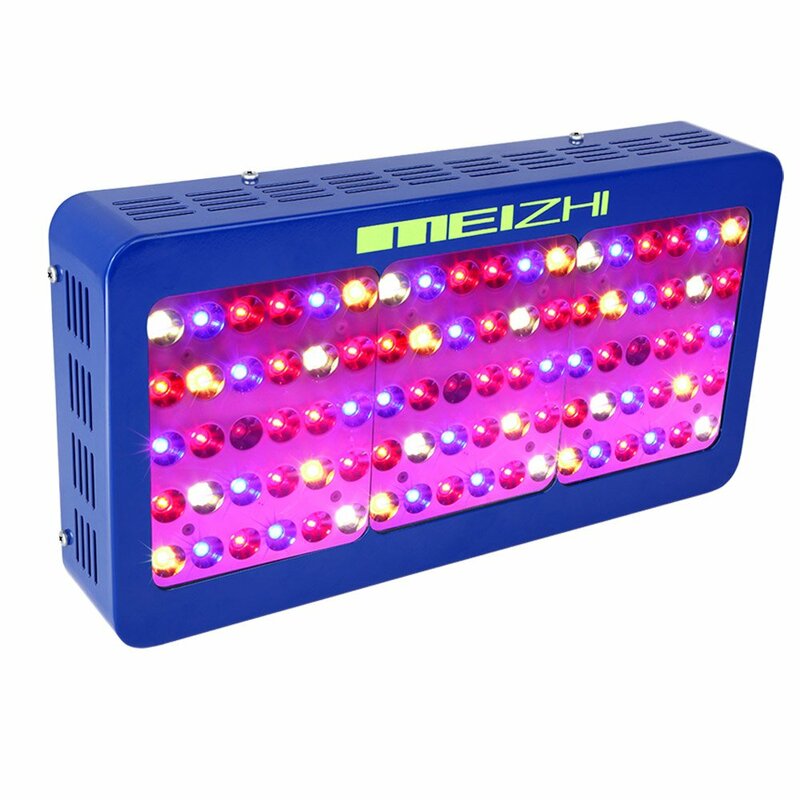 This is a good quality LED that combines infrared and ultraviolet for possibly one of the most efficient lighting for optimum plant growth. The light is cool and safe to use – you can touch with your bare hands even after 24 hours of use meaning that your plants are safe from burning risks. If you are growing weed, this light covers the entire lifecycle of the plant. 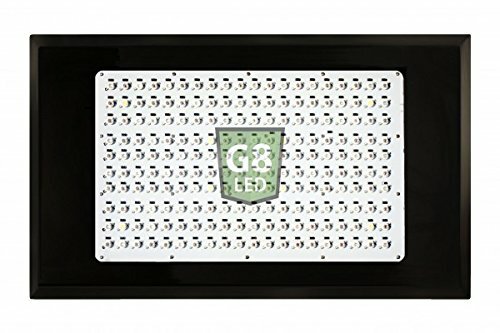 If you have a small grow tent, you will need an LED light effective for the space, and this product is perfect for that. 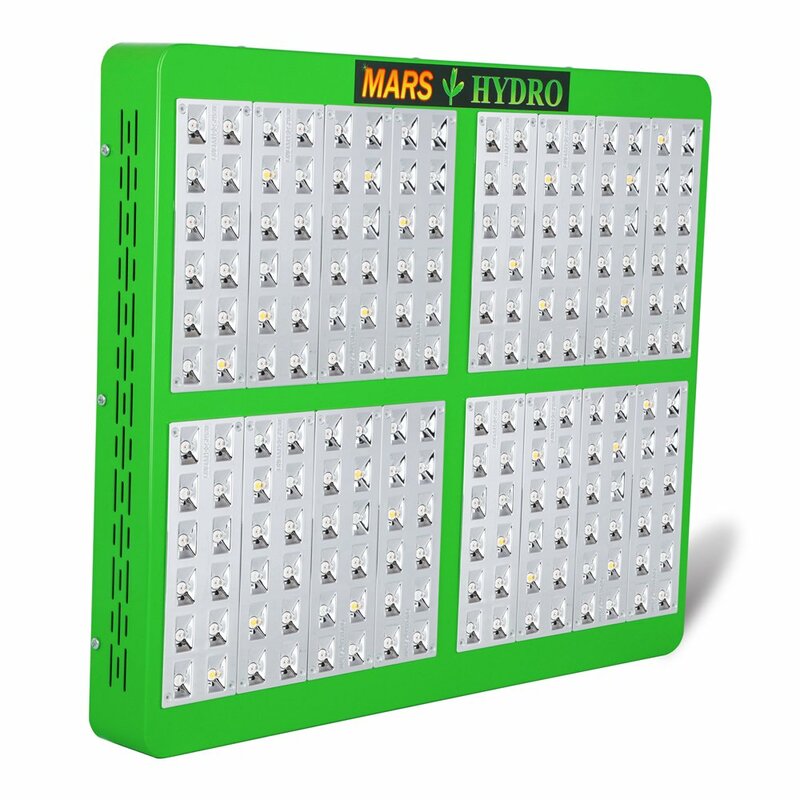 The LED has both the vegetable and bloom modes to cover the entire lifecycle of the plant. It is ETL certified meaning that the light is safe to use. The light has efficient spectrum and intensity for optimum growth your plants. With Marshydro, you may not need to be wary of burning as the lights are adequately cooler. For the people looking for quality LED lights at a favorable price, this might be the right product for them. It produces a full spectrum light for healthy buds. You can easily replace those HID lights that you have been using and save a significant amount of cash since it considerably consumes less electricity but the yields are high. The main worry among users of the LED is burning of the young plants (especially cannabis). However, this product makes use of two inbuilt possibly effective fans to prevent scorching. There was a time when the mere mention of cannabis was taboo. However, that has changed significantly, and it is legal in several states in the US and some countries around the world. As a result, better ways of growing the plant together with others vegetables are continuously being developed. For a long time, HID (High-intensity discharge) lighting has had a problem with hotspots. This means that light has been more efficient on a section of the canopy leading to irregular growth. Using LED lights for cultivation ensures that there are no hot spots and every part of the canopy receives adequate lighting. When there are no lighting dead zones, the production of cannabis and plants, in general, is optimized. Your flowers also benefit from the full spectrum of light that LED grow lights produce. This means that they get the best from the “manufactured sun” for efficient growth. Why are LED Lights Better for your Plants? In comparison to HID and fluorescent lighting, LED has the best brightness per Watt. This simply means that you get the best output at reduced electricity costs. They are cooler and are a source of reduced lighting and have a reduced risk of fire. There are also other things when you compare LED’s to Fluorescent. Light-emitting diode lights tend to be better for plants being grown indoors. LED lights also tend to come with inbuilt fans, and so in the majority of cases, additional ventilation may not be necessary. They do not require ballasts and return a much higher rate of yield per unit of electricity consumed. LED lights tend also to carry a broader spectrum of light which helps the plants become healthier, greener and have resilient looking buds. Furthermore, innovative designs of the light have specialized lenses that point the light directly to the plant. This enhances penetration resulting in much better yields in comparison to light from older models. HID lights are a pain in themselves as they are heavy and require support. Over time, these lights reduce brightness and may be necessary to run to the stores to acquire new ones. LED’s are consistently effective for a long time, and so you save your hard earned cash. There is usually a misconception that fluorescents are the better than LED. However, this can be forgiven as LEDs are relatively new in agriculture. LED lights are the next best thing your plant can get after sunlight and are associated with better yields. Also, they are much cheaper when compared to other kinds of lights. The grow lights have a much higher lifespan of 50,000, and so you will not need to replace for a very long time you will almost forget about them. One of the most critical factors you need to consider when choosing a grow light is the area you will be using it in. This knowledge will help you determine the amount of light you will need. The area will also give you a good idea as to the type of lights most fitting for the environment and coverage. Placing more lights adjacent to each other allows the lights to cover more space. The stages of plant growth will tell you the most appropriate light to choose. You can run with a full spectrum LED light for a full plant growth cycle. Essentially, this also presents your best choice of lights for any kind of plants you have. It helps to check the dispersion angle of the light from the bulb. The greater the angle, the better the coverage of the LED light and if the angle is less, the dispersion will be minimal and hence more direct light. The amount you are willing to pay also determines the features that you will get. You will need to make an informed decision on the features you are willing to trade off for the kind of plants you are cultivating. Before you can enter the grow room to check how the plants are doing, you need a pair of sunglasses. I know! This is definitely surprising. However, you will need sunglasses to protect you from the Ultraviolet light produced by the full spectrum lights. You may think that light meters are only for the established growers, but that is not the case. You can have one to inform you of the most appropriate light for your crops. It is also essential to ensure there is adequate distance between the light and the plants. However, no set distance should be kept, but a range of between 12 and 18 inches is appropriate. If your plants start to change color, maybe the lights are too close. A reasonable distance should allow the vegetables to be green. LED lights have recently emerged as some of the most effective equipment for higher production from your garden. The thing about them is that they imitate sunlight and help in plant germination and making of food. You need the best grow light if you are going to get the best from your garden. From the above review, Advanced Platinum Series P600 is the clear winner. The light is easy to install, is durable and has good coverage area meaning that your plants are well covered. It also has both the growth and flowering modes you can choose from depending on the plant growth stage. The inbuilt fans keep the warm air circulating efficiently to prevent scorching. Many of these options are also great marijuana grow lights. Happy gardening!